We love restoring these beautiful sounding pieces of furniture, but be aware there's alot of time and parts needed to do so. We're one of the best at restoring these to proper operation. Here's how we get started. Call or come in. There is a $50 deposit to get in line. We call you when your turn is up to bring in your console. The $50 applies to the diagnostic service. We'll call you to set a time to bring it down. We have to clear a space to store your set. Be prepared to hang around while we create an invoice. YOU MUST PROVIDE A GOOD MEANS OF CONTACTING YOU. There is $70 due on top of the $50 deposit for a total diagnostic charge of $120. The diagnostic service, pays for the time to tear down your set and discover what needs service. This $120 is included in whatever estimate we submit to you. You will have TWO WEEKS to respond. An approved estimate requires 50% down of the total price before proceeding, which includes the $120 youve paid (I.E. - an estimate of $800 requires $400 down, $120 of which you've paid, so $280 is due before proceeding) If we don't hear back from you in two weeks - we close out the repair and move on. The $120 you've paid for the diagnostic is non-refundable. Once you approve the estimate, we expect you to hold to your side of the agreement and not back out of the repair half way through. Please refrain from repeated inquiries about status. These machines take time to service - on average about 2-3 months from the time the estimate is approved. Multiple part orders are almost always needed. Believe me, we'll call when its ready. We test the consoles throughly before we call you to make sure they're realiable and ready to play in your home. Once they pass our final QC, we call you to come pick them up. We ask that all consoles be picked up WITHIN TWO WEEKS of completion so that we have space for the next customer. If they remain longer, they may be subject to storage fees. What if my console's radio and amplifier work well, but the turntable is the only thing with trouble? If your console needs only the turntable serviced, that can be brought to us for repair independent of the whole console. This saves wait time, and can be done with simple hand tools. 1. Remove the back. Depending on make this can be done using a 1/4" nut driver, philips, or flathead screw driver. Typically American manufacturers use 1/4" nut or philips screws. European or Japanese sets use flathead screws. 2. Look where the turntable is mounted. There are typically two cables - one for power and one for audio. These will almost always unplug. Do so with caution. Most of these connectors are plastic and brittle and will break easily. Pull on the plug not the wire. If the plug does not come loose readily, use a pair of pliars. 3. Once the cables are unplugged locate the screw shafts coming down from the top of the turntable. On the bottom of these shafts are usually retainers. 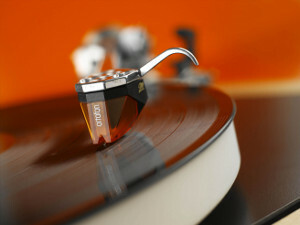 These retainers can be flipped so they hug the screws, allowing you to lift the turntable from the cabinet. Some consoles do not use "flip clips". You may have to remove an E-clip to remove a retainer disk so that the turntable shafts can fit through the holes. Still others require that you squeeze to pull the retainer off the screw. Make sure you put all the parts in a plastic bag! 4. Lift the turntable out and bring it to us for repairs. In a few cases there is still sticky grease on the underside of the turntable. Place the turntable in a box or on a towel so that it does not contaminate your upholstery. Based on what is on the internet about restoring these machines, customers will often come at us with phrases like "Make it sound like new," "I want the speakers replaced with new ones," or "I want this to be bluetooth ready." 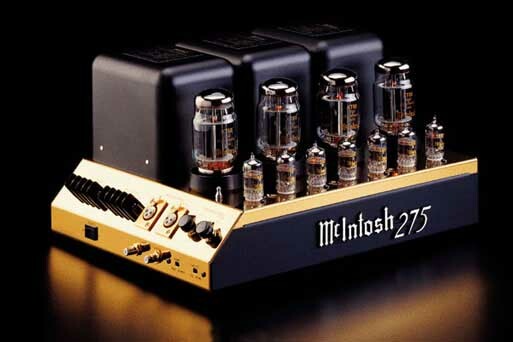 Folks often also have the misconception of that "its just a fuse" or "I think it just needs tubes." With turntables it will "just need a belt" or "just a needle." On the opposite end of the spectrum are hobbyists that read the discussion forums claiming that we have to recap the machine before we do anything else to it because bad capacitors keep it from working. The price is always a factor too, as most customers are simply unaware that the average restoration service on a console is about 6 hours technical time plus parts. The reality is these machines are old, some in excess of 50 years old. They are far beyond their service life, the manufacturers never expected them to be running 50 years from the date of manufacture, and the fact some are is remarkable. In order to make them reliable and provide enough service in a manner that you can simply turn them on and enjoy them requires extensive time and numerous parts. We like to estimate it in a way that enough work is done so you don't have to keep coming back for service. This means that the average console repair is $500- 700 for transistorized units, $700-1100 for tube units. If we half-do the job, you will more than likely have to come back for more repairs, so why not do it right the first time? We can provide a level of service that allows you to really enjoy your console to the fullest.